As mentioned in my Friday post, one of my cats was a bit under the weather recently. Now I’d like to share an important lesson I learned about owning a pet. Both of my cats have always been very healthy and are actually quite spoiled. So I always assumed I was doing everything right with taking care of them. Then things changed a little while ago when my cat Trip started puking. My veterinarian at the time said he was in good health and most likely just had excess fur in his digestive system. This sounded like a plausible explanation since he sheds a lot and also grooms my other cat Timmy. Switching to hairball control food and treats. Regularly grooming him to limit the fur he ingests. Leaving the balcony door open so that he can always get fresh air. Always putting the toilet seat down so that he couldn’t sneak water from there. Making sure his beds and litter boxes are free from anything harmful. Freezing his wet food so that an open can wouldn’t sit in the fridge all week. Clearing out any wet food scraps so he wouldn’t eat those scraps later in the day. Not giving into this begging for human food. Despite all these changes, he just wasn’t getting better. I was really getting concerned. So I took him to a different vet to see what he thought. This ended up being a very good idea. I told him about my suspicion of it being a furball built up in his digestive system, but he thought it would be best to take an x-ray to see if that is the case or whether it might be stones in his bladder. Since I wanted to get to the bottom of this, I gladly agreed to the $100+ for the x-ray. I figured from there he would give Trip some kind of medication and it would be problem solved. Unfortunately the x-ray revealed that he had developed a stone in his bladder. The vet explained how crystals in the urine can accumulate to the point of it blocking things and making him sick. Left unchecked for longer, it would’ve led to blood in his urine and eventually inability to urinate among other problems. The good news was that they could perform a surgery to remove the stone. The bad news was that it would put the vet bill over $1000. It was a steep price, but obviously I agreed to it. The worse kick in the gut came when I asked what causes this problem and how it could be prevented. Basically it was completely my fault for feeding him low priced cat food. No I wasn’t using some no name super cheap food. I had been giving them Whiskas dry food and Fancy Feast wet food. With big brands like that, I assumed it would be quality food. Food companies just cannot be trusted though, whether it’s for human food or pet food. They will add all kinds of crap just to make it tastier or to make it last longer. In some cases there is too much heavy metals which leads to problems like this. They don’t care what health problems their food can cause. They just care about profits and making it appear that the food is being enjoyed. It’s interesting that it was such a parallel to my own health problems also caused by eating too much of the wrong kinds of foods. Here I was doing a 180 with my own diet, but continuing to feed my cats unhealthy food. To say I felt guilty would be a huge understatement. Sure I was super pissed off at these pet food manufacturers, but ultimately it was me that made that choice. Sorry Trip and Timmy! After agreeing to the surgery, I was relieved to hear that it could be performed later that day. So I paid a big deposit and went home to dwell on my guilt, worry and anger. The surgery went well and the bladder stone was successfully removed. Still they decided to keep him there a couple days for monitoring and to give him medicine. The apartment just wasn’t the same without him around. I couldn’t help but worry more the longer he stayed there. Now that he’s back home, he’s switched to a special food that cleanses the crystals from his system. He hasn’t puked at all since and seems to be doing much better. Although Timmy was never puking, he’s also on this special food now since he was possibly developing stones too. I’ll have to keep an eye on both of them to make sure they are both doing well. After 2 months, they will be switching to normal food. I’ll just have to find a brand that I can trust, probably something organic. It will cost a lot more for a bag of that kind of food, but your loved ones’ health is priceless and it should avoid those costly visits to the vet. I definitely won’t be making this same mistake with my pets. I love them too much to do that. If any of you are pet owners and trying to save money on pet food, be aware of the risk you may be taking. Even keep that in mind when making your own personal food choices. It may taste good, but do you really want to cause problems down the road. It may already be causing problems now, but you didn’t realize the cause. Also if you have any pets and wouldn’t be able to cover an expensive vet bill, it might be a good idea to pay for pet insurance. I sure was wishing I had some kind of coverage when paying this 4 figure bill. It would’ve taken some of the stress out of the situation too. Are you aware of the dangers of cheap pet food? Do you think pet food manufacturers should be held more responsible for their products? Or am I just a horrible pet owner for not being more educated about this risk? What top cat food brands can you suggest? Has anyone here tried Royal Canin and Eukanuba? I spend between 30-40 dollars a month on organic dry and wet food for my puppy Murray. That is a lot per month, but I think it is worth it. If we absolutely have to cut cost I may try weaning him off the wet, or only feeding him wet food a few times a week. Great post, glad your cat is feeling better! I agree that it is definitely worth that kind of expense. I just thought that the cheap stuff might just make them a bit fatter and nothing worse. Now I know a lot better than to cut corners on something so crucial. I feel like I’m one of those parents that just feeds their kids fast food and other cheap processed foods. It’s worth the expense for sure. I raised a cat on cheap food, he ended up having a lot of health problems, including diabetes. Now I stick with more expensive stuff. My kitten gets almost all canned Avoderm with a small amount of grain free blue buffalo wilderness dry kibble for free feeding. He rarely touches the kibble and goes through 2 cans of avoderm a day. His avoderm is roughly $65 a month when I buy bulk online but his health is priceless. I have looked into pet insurance but I don’t think the prices are reasonable for what I’m looking for right now. I have always been really cautious of giving my dog natural food, so I only give him AvoDerm. We started with Royal Canin, when he was a puppy, and it was super expensive… we tried cheap dog food, but it actually made my dog feel sick. He was so used to the natural and good stuff that we can’t give him that crap. For his treats, we always give him dried chicken or dried turkey. No preservatives. I would really like to give him the best stuff – the food that is actually refrigerated. It’s just meat and vegetables. But I’ll stick with AvoDerm for now. I’m still on the fence about pet insurance but I’m probably going to look into it when my cats get older. When someone has a pet in great health and they’re getting quality food, it’s definitely less necessary. Still, when they get older, there’s bound to be some kind of expensive procedure that pops up. It sounds like you take pretty good care of Booboo. I have heard that once pets are on expensive food they get pretty picky. Even just changing any food can give them an upset stomach. The more expensive stuff is generally way better for them though. So it’s really best to stick to that if you can. 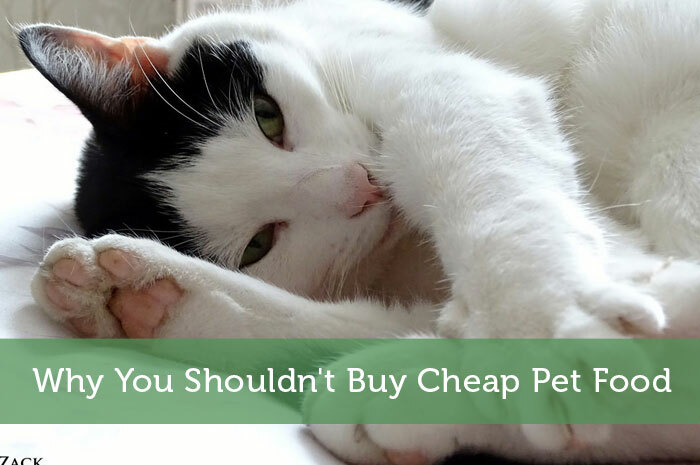 I had no idea that cheap pet food was that bad for your animal! I feed my dog cheap food and now you have me a little worried! It makes a lot of sense though…why should I think they make dog food differently than human food? If they’re willing to poison the crap out of humans why would it be any better for pets? It’s something worth looking into further. I’m no pet food expert though. I’m sure some of the cheaper brands aren’t too bad, but it may just be like giving them Wendys instead of McDonalds. Too much of either one may lead to problems. My friend just had almost this identical problem with her cat! The cat is also now on special, uber expensive food. It’s surprising that the major brands can be so poor for health, isn’t it? I mean, how bad is No Name dog food then?! I’d assume that cheap dog food could be just as bad. The one upside there is that they generally don’t eat fish. It’s probably the tuna and other fish that has all the mercury and other heavy metals causing this specific problem. So maybe they would’ve been fine if I had stuff to the ones made form chicken, beef, turkey, etc. Still, who knows what other bad crap they put in the food just to make it look like the animal is enjoying it more and ultimately consuming more of it. Yeah I have no idea where I will find truthful info. There are bound to be some websites or blogs out there that know what is really healthy and what isn’t. I may just go to a food pet food store and ask them and go with what seems the most natural, organic food available. I should probably do additional online research about whatever brand I do go with though. The problem with the big brands is that they have such big marketing budgets that they can do a much better job of hiding any negative reviews. I feed my cats Science Diet. The vet recommended it. I hope it’s better than whiska because it is certainly more expensive. What kind of food are you feeding your cats now? We tried organic wet food, but they didn’t like it. Right now they are eating food from the vet: Medi-Cal ‘Urinary SO’. I still have to decide what to feed them after that. The vet recommended this preventative food that they sell, but it’s super expensive. So I’ll be doing research on various organic and natural options from pet food stores. There’s gotta be something out there that is very healthy but not vet priced. I never realized how important the right food is for your cat. It makes sense though – garbage in garbage out. This is a trend I see in Victoria with more pet stores exclusively selling organic food. That’s good that the trend is picking up. That will force other manufacturers to put better ingredients in their food. I should look around Vancouver to see if I can find a store that also goes that route. They’re bound to know what’s really best for my cats. Thanks for the empathy Caroline. It is something that more pet owners should be aware of. So hopefully this post does at least a small part and educates a few people about the problem. I do believe there are quality pet food manufacturers out there. It just seems that the bigger ones get so obsessed with profits that pet health simply isn’t a concern. We buy our dog Science Diet. Not cheap but well worth the money. Hmm another Science Diet faithful. I am a little skeptical about a company who would use such a name. I’m sure it’s quality stuff, but it sounds like they are using that as an aggressive selling feature to charge high prices. I will have to look into it when it comes time to buy normal food again. You’re not a bad pet owner, dude, I think a lot of us do that kinda thing. Our cat and dog eat the cheap food we get them and seem to like it, so why give them anything else? But from reading your story, I think you’re right that it’s dumb of us to think that pet food companies are any better than human food companies with quality. I bet they’re even worse. I’m thinking my wife and me should talk about the food we feed our pets and see what we can do. Got any better quality food brands in mind? No I haven’t done research into better brands yet. I know I can play the ignorance card and that everyone does it, but I still feel like I should’ve been more diligent about it. The problem is that they add in stuff that is going to make them like it more going down. It just causes problems in the digestive system later. I just didn’t truly appreciate the effect of bad food until it was affecting my own health. I really thought the pricing was probably more of a marketing ploy than anything….I guess I was wrong! Informative post…I hope the little guy’s okay long-term. I’m sure the price does sometimes get used to make people assume food is healthy. In general though, I’d still think those expensive brands would be the ones that are truly healthier. I plan on doing more research before deciding which food to try next. I feed my cat Iam’s hairball control. He’s really pick so I’m hoping that this is good–his vet hasn’t said anything about it and he’s always healthy when he goes. He gets wet food a few times a week but I always clean it out after. And he only eats the Friskies Tuna and something (it’s blue) wet food. I haven’t really thought about pet insurance too much. I’m glad Trip is doing better! I would consider switching your cat to different wet food at least. Too much tuna is known to be bad for humans. So the heavy metals in it probably aren’t very good for your cat either. It might just take a while to develop problems from it. As for the dry food, since that’s at a similar price level as the Whiskas, it might not be the best choice either. Trip can be picky about his food too, but if it’s all he’s getting he’ll be forced to get used to whatever I give him. I’m sure he’ll have no problem with some organic brand. I don’t know for sure whether it was the wet or dry food causing the problems though. Glad to hear your cat is doing better. I need to check my own cat food – I think I may be feeding my cat the same thing. You’re right about how we watch what we eat but disregard what our pets eat. Unfortunately, some people do the same with kids too. I wish I could say for sure which food was causing the problem, but then again that might result in a lawsuit lol. Just pay close attention to your cat’s health. I’d also switch to better food if possible. You are right that many parents are just as bad or worse. I’ve heard of some girl who would only eat McDonalds chicken nuggets and nothing else. It’s amazing that she didn’t already have health problems. Wow, I had no idea that even popular named pet food could be unhealthy for pets. But now that you mention this, it’s a lot like human food I guess. Just because it’s McDonald’s doesn’t mean it’s good for you. Your poor cats 🙁 I hope they start feeling better soon. Yeah for too long people have just been too trusting of big companies. They assume if anything is bad, governments or other regulatory organizations would protect us. They can all be influenced by big money too though. Just look at how much cow’s milk was pushed in the 80s when it was at its peak of hormone additives. At least all those hormones made me nice and tall like the commercials claimed it would lol. I have a recurring nightmare about stones (for me). I can’t imagine having them and not being able to tell someone. Glad you were able to help your little buddy out. You might be onto something with the tandem person/pet diet challenge. Yeah who knows how long he was building up these problems. I’m sure it was affecting him even before he started puking. And it sounds like far too many pet owners even brush aside that warning sign. I don’t know much about stones in humans, but I’d think it would also be caused by similar bad things in what you’re eating. So just make sure you’re eating really well and avoiding stuff with toxins or heavy metals. Jeremy, I can tell that you really love your pets. You know those commercials (totally not dropping brand names here…lol) that say “if you love them, give them the best”? Well, I think you should! You obviously love your cats very, very much….like they’re your children! I don’t let my kids eat crap, even though it tastes good and they’ll whine like crazy because everyone else gets it. It’s because I love them, though! You are a good cat daddy!!!! You are doing so much to make YOU healthier…I agree that your babies should be fed the best as well. That way, you’ll have many more years with them. I’m so glad you started taking better care of yourself and your babies!! lol ‘good cat daddy’…that just sounds like some pimp’s name. I do really love my cats. If I had known about this kind of risk, I would’ve switched foods a long time ago. I want them to be as healthy as possible even if it means spending more money on their food. It is a lot like raising kids, except with kids you at least have a better understanding of what kind of food is good for them. With pet food you just tend to trust the claims that the brands make. Even if a company says that it’s ‘the best’ for them, we should be doing further research to see if that’s really true. When I was younger, we got our first dog in the family and we went to get her pet food and the stuff we needed for her at this local pet store (not a big box store). We were looking at all the pet food and the guy that owned the store told us he didn’t sell cheap stuff because “he wouldn’t feed his kids corn meal or chicken byproducts, so why would he feed his pets that”. Fair enough. We have been loyal buyers of really expensive pet food since then. Nothing but the best. My dog loves it and she is super healthy, and she also eats less of it because it actually has the nutrients she needs. I hate when I see people buying cheap pet food! I wish I had ended up at a store like that when buying pet food at the beginning. Instead I was ignorant enough to think that it was all pretty much the same and that they’d be fine on whatever kind of food I gave them. Also sometimes it’s tough to tell if someone is genuinely trying to get you to buy a better product or whether the store just wants more profit themselves. It’s so unfortunate and downright disconcerting to think that you were doing right by your cats’ diet, only to learn later that it was the food that they were eating that was the result of Trip getting sick. Even though you were largely responsible for what they were eating, I don’t see that you did anything wrong. You behaved responsibly in that you took as good care of them as you thought possible. I don’t own pets myself, but I never would have thought about cheap pet food being the ultimate cause of pet health problems. I always figured that as long as it was pet food, then it would be OK to feed it to your pets. It’s great to know otherwise. Thank you for sharing this. I’d like to think of it that way, but then wouldn’t that also justify things for the ignorant redneck mom who just feeds her kids fast food? All along I knew that the organic food with natural ingredients would be the healthier option. I just didn’t take the time to research what difference that would make. Of course it’s natural to assume that most pet food is going to be fine. Companies can be rather unethical when chasing profits though. We’ve always dropped some decent coin on organic dog food for our pup. We’ve always thought of buying better food as “medical insurance” for our dog. Whether it’s humans or pets, you are what you eat and there’s not replacement for real foods. We feed her raw meats and (approved) vegetables sometimes as well. So sorry to hear about the emergency, but glad that you have found a solution! Now that’s the responsible decisions I should have been making from the start. I think it might be more ‘normal’ to feed a dog well compared to cats. With dogs you always hear of all the expensive procedures that they end up needing. Plus when you take them out walking each day you are much more attuned to their health. Pets are no different than humans. We don’t like eating cheap canned food, so why feed cheap canned food to our pets. Well the difference is that with cheap canned human food, they are not making all these claims about how healthy it is. I suspect that pet food is far less regulated. So they probably get away with making different claims than what Chef Boyarde or some other company could claim. And with cheap pet food, they still eat it all up right away making you think they really like it. When you see animals recycling necklaces & watches on films it does make you think they could live on anything. Obviously not! Animals recycling necklaces and watches?!? Sorry I must’ve missed that episode of National Geographic. Sounds like you didn’t read the post and was just assuming I fed them the cheapest food possible. Pet food is advertised to people so they make it look good to us even though it may be complete trash for the animal. I know purina older dog dog food has cellulose (pine trees) in it. People are just so used to seeing random chemicals in ingredients list that they usually don’t even bother checking the ingredients. I don’t have any cats, but as for my dogs I always give them the same kind of dog food. My oldest dog is 12 and he won’t eat anything but Kibbles and Bits. He has always been fairly healthy so I am not too concerned about it now. But I just got a new dog (Siberian Husky, she’s so pretty) and I do want to make sure she stays nice and healthy. BTW your cats are so cute. It definitely shows how much you love them. You’ll have to post some photos of your dogs on your blog sometime. Or I’m accepting pet photos for my blog update posts. Pets can get pretty particular about a certain kind of food. It does make you kinda wonder if there’s something in there which makes it more addictive to animals. Our dog is on a special food that we have to buy at the vet due to some kidney issues of his. But even before that, we gave him quality food rather than the cheap stuff. I figure our dog is part of the family. I wouldn’t feed my wife and son ramen or mac and cheese every day, so I’m not going to give our pet the dog equivalent of that. Sorry to hear about your dog’s kidney issues. Vet food certainly is expensive, but I’d bet it is the healthiest stuff out there. I’ll have to resort to that option if I’m not satisfied with the research I come up with for the pet food store organic brands. And that’s why I’m getting pet insurance for my dog. I’m also going to start her out on the right foot and feed her a high quality pet food, probably the same brand my cat gets. An ounce of prevention is worth a pound of cure, as the saying goes. The problem your kitty suffered from is very common in male cats, but it’s still traumatic none the less, hopefully he recovers soon. Really, it’s more common in male cats? I didn’t know that. I guess the crystals just build up more. If I had a dog I’d really look into pet insurance. With my cats I’m not sure if it would be worth it unless I happened to have had it before this incident. Dogs seem to need surgery much more often though. The last thing you want to be thinking about then is the financial pressure. Bad food can cause serious diseases and even death in case of humans as well as his/her pets and that’s why your article is a positive indication towards buying good food for survival and I would like to say yes to making habit of eating organic food. I’m still working on buying more organic food for myself. It is a fight between my battle to save money and eat better. I really need to move closer to a good store that specializes in organic and natural foods. I’ll at least get my cats started on it soon though. Your poor cat! I agree that those cheap brands of pet food don’t pay in the end. Even if you don’t end up with health problems that warrant a trip to the vet, the filler that’s in much of the cheap dog food just isn’t good for any of our pets. We find that our dog eats less of the more expensive brands – probably because there is simply less filler. Good point about quality food getting pets fuller. The filler they add to both pet food and processed human food is just a waste. Who wants to eat a bunch of cellulose? I’ll have to watch to see if my cats eat less when on good food. Good quality food doesn’t have to be super expensive. Find out what your vet recommends, and then check the ingredient list. Then go looking for less expensive brands that have similar ingredients in similar order. We had a purebred St. Bernard, and found that paying a little extra for good quality food was not only better for his health, he actually ate less of the better food! (Less filler in it). Good tip about checking ingredients between brands. I’m sure as long as it doesn’t have fillers or other bad additives it should be good overall. I need to be avoiding the seafood flavors too. Although I am not a pet owner per say, I do feed and interact with the stray cat that the previous owner of my home left when they moved out. It may not be mine, but I am delighted to feed it as it keeps out pests and other rodents. I was wondering what types of cat food you recommend to avoid similar problems? Thanks in advance! I’m still trying to figure out the best food to switch to. I have a couple months to figure it out since they need to be on vet food for a while first. That’s awesome that you are trying to feed the stray cat healthy food though. Those mice and/or rats should be pretty nutritious too lol. When we got our cat the person at the pet store recommended that we look at cat food ingredients and never get food that has animal by-products in it. We’ve been doing that now as well as use wheat kitty litter rather than clay (didn’t want her licking clay off her body and ingesting that) and while yes she’s incredibly spoiled like that, she’s been pretty healthy so far (knock on wood). It does pay to give animals healthy food, at least it has been good so far for us. Kris! It’s been a while. Hmm I’ll have to watch out for animals byproducts when I go find a replacement after the vet food. I’m sure they would use all kinds of nasty stuff that isn’t suitable for human food. I’m not a fan of clay litter either. I personally use pine pellets and they work great. Plus it’s way cheaper.
. 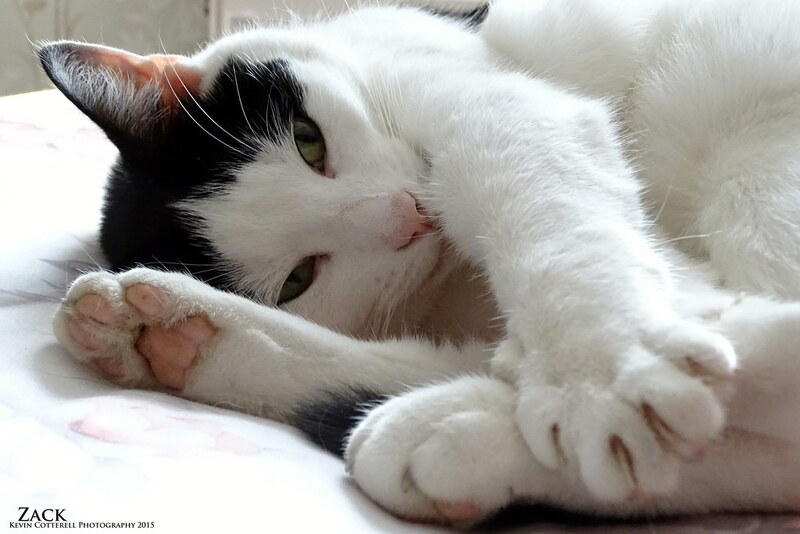 The truth is male cats and overweight cats are more prone to stones. The only foods out there that prevent it is vet prescription foods because they are the only ones guaranteed tested for it. My cat was on hills prescription S/D(the owners science diet) to get rid of it and after that W/D wet only for life. When he got older he switched to urinary so. To be honest it cost a lot to buy just wet food for my boy from the vets, but it was worth it because every vet visit for stones would have cost thousands and put my little guy through hell. I am sorry your fellas are going through this right now, food companies sell an image to pet owners and I can see why people buy cheaper food like wiskas when they say that it is so good and tested in the ads. I have a hard time buying that only vet foods can prevent stones. I think if another non-vet brand had all the same ingredients without additives, it would do the trick as well. The vet I saw only recommended doing urinary s/o for 2 months and then switching to preventative. I intend to do a lot more research towards the end of that 2 months to decide which route is best. I’m glad you wrote this article! I have been giving my dogs healthy, and more natural dog food since late 2009. At first I thought it was unneccesary but you read a few blogs abut dog food and it’ll change your mind. My dogs are 4 and 2 and have not had any problems yet. I want them to live forever, but I’ll settle for 12-14 happy years :). I can’t say I’ve ever read any pet blogs. Maybe I should be though to learn more about this kind of stuff. Or maybe the animal shelters should be more proactive in teaching people about this. Then again scaring people with high prices might lower their adoption rates. I consider all commercial foods to not the be the healthiest for a pet, my cat refuses to eat a homestyle diet however, at least for now while I am trying different things. Ash content is very high in a lot of cheap foods and in male cats this can also lead to a plugged pee duct so they can not pee……..all sorts of health issues in both sexes. If you even look at the ingredients on many of the high priced dog foods you will still find they use meat not fit for human consumption ( and they are not good for dogs health either) and some sort of filler along with carmel coloring ……..same things that are not good for humans. I have found it costs me the same about to feed my dog a very healthy homestyle diet that I cook myself as it would to feed her low cost commercial food. The vet approved how I feed her and said she was in amazing condition with an amazing glossy coat! And no you are not a bad pet owner, many are unaware of how bad commercial foods can be for their animals same as humans really have no idea what they eat is typically not food and really bad for you! I hadn’t considered a homestyle diet for my cats. I think I’ll look into that at least for wet food. They’re a little picky with commercial food, but they’d eat any cooked meat. I’d just need to figure out what else needs to be added to help them get all their nutrients. It sounds like you are a very responsible pet owner. Thank you for the suggestion. Sometimes, the cheap dog foods are not of good quality. This is why you should buy the dog food with a slightly higher value. In life, you do often get what you pay for and pet food is no exception. It’s always a good idea to check the ingredients carefully, and look for the best quality as we have to remember that these companies are selling it to make a profit first, and the health of your pet isn’t at the top of their priority list. There are some really good quality commercial pet foods available, and they don’t have to cost the earth – with a bit of searching online, you can often get big discounts compared to buying from your vet or the supermarket. Look out for special offers, or consider buying in bulk to make it even more affordable.